The Making History Project is a Florida non-profit corporation whose mission statement is to preserve Veterans’ stories. The Making History Project ]is governed by a voluntary Board of Directors. The current Board of Directors is listed below with a brief biography for each Director. As you will see, the Board of Directors is intentionally diverse with members from different professional backgrounds and perspectives but yet they all share an extreme passion for history and dedication to honoring the legacy of Veterans. Patrick Russell is a trial lawyer for lawyer ethics and compliance with The Florida Bar, and has been practicing law in Miami since 1994. Prior to working with The Florida Bar, Patrick managed his own law firm for over 18-years focusing his practice on civil litigation matters involving business law, contracts, insurance, and real estate. Patrick is a graduate of Marquette University with a B.A. in Political Science and minor in History, and received his law degree from the University of Miami School of Law. Patrick founded the Making History Project in 2014, and it is now a 501(c)(3) non-profit organization. The passion for this project began with Patrick’s grandfather who served in the United States Army Air Corps during World War II. The idea for the project came after meeting and speaking with numerous World War II Veterans in Normandy, France on the anniversary of D-Day. Since that time, Patrick has become an independent scholar for World War II, a staff member for the University of Florida Samuel Proctor Oral History Program, and made presentations during the annual meetings of the Oral History Association, Midwest World History Association, and the 508 Parachute Infantry Regiment Association. Patrick is a member of the Oral History Association, American Historical Association, 508 P.I.R. Association, and the Battle of the Bulge Association. As an oral historian for the project, Patrick preserves the stories of Veterans, their legacy, and the effects of combat trauma through video oral history interviews. A copy of the digital oral history interview is provided to the Veteran as a cherished keepsake for the Veteran’s family while another copy is preserved for future generations with the United States Library of Congress and the University of Florida Samuel Proctor Oral History Program. Additional public outcomes for this project include full access to all oral history interviews on this website as they become available; audio podcasts for each interview; academic, community and conference presentations to develop awareness for combat trauma that affects Veterans; as well as future publications and/or documentaries concerning the results of this project and combat trauma. 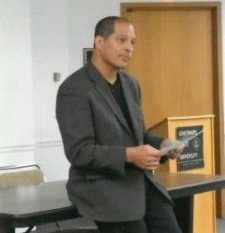 Andrae Marak is the Dean of the College of Arts and Sciences and a Professor of History and Political Science at Governors State University where he regularly teaches courses in World History, Global Studies, and Latin American, Caribbean, and Latina/o Studies. He has served on the Executive Committee and Conference Planning Committee of the Midwest World History Association; is a book review editor for H-LATAM, and is a contributing editor for The Middle Ground Journal. He has worked to promote increased civic engagement and a more global approach to understanding the world through both the curriculum, student programming, and external outreach at California University of Pennsylvania – where he served stints as Chair of the History and Political Science Department, Director of Women’s Studies, and Director of the Honors Program, at Indian University – Purdue University Columbus, where he was the head of Liberal Arts, and at Governors State University, where he focused on coordinating community events with local libraries, community colleges, and other community groups. At each campus, he has worked with veterans’ groups and promoted oral history. He has authored, co-authored, or co-edited four books and is currently working on a transnational history of the Harrison Act of 1914. 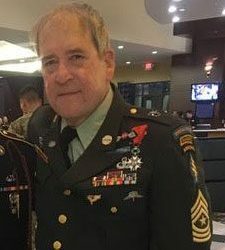 Francis Gene Garren served twenty-eight years in the U.S. Army retiring as an E-9 Sergeant Major. Gene was a Special Forces weapons man (expert sniper and rifle) with following qualifications: (1) Master Parachutist Badge; (2) Pathfinder Badge; (3) Expert Infantry Badge; (4) Ranger Tab; (5) Special Forces Tab; (6) Military Free Fall Parachutist Badge; and (7) German Mountain Climbing Badge. Gene served with the 1st Special Forces Group and 10th Special Forces Group, having been put in harms way in Honduras, Nicaragua, Panama, Haiti, Cuba, Algeria, and Desert Storm Support, West Africa. For his service, Gene received the Legion of Merit with One Oak Leaf Cluster, Meritorious Service Medal with Four Oak Leaf Clusters, Armed Forces Expedition Medal, Army Commendation Medal with One Oak Leaf Cluster, and Army Achievement Medal with Three Oak Leaf Clusters. Since leaving the service, Gene has been 100% service related disabled, and as a result is a passionate supporter of disabled Veterans. Currently, Gene serves as a Volunteer Service Officer for DAV Chapter 57 in North Carolina. Gene is passionate about the legacy and sacrifices of our World War II Veterans and has visited Normandy, France each June since 1995. For his efforts of escorting World War II Veterans in Normandy, Gene was awarded the French Legion of Honor in 2014. 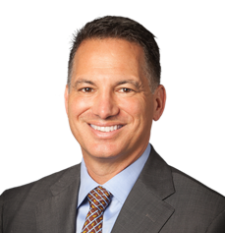 Mark S. Meland, is a founding shareholder of the law firm Meland Russin & Budwick, P.A. Mark is an accomplished real estate lawyer with a diverse client base representing financial institutions, private investors, lenders, real estate developers. He is also an accomplished corporate and transactional lawyer providing general corporate services to the firm’s corporate clients and serves as a court-appointed Receiver for numerous entities and is an approved Chapter 11 Bankruptcy Trustee for numerous high-profile companies. Mr. Meland’s practice further entails examination of title and general corporate representation, including the purchase and sale of businesses, formation of corporations, limited liability companies and partnerships, drafting of partnership, operating and shareholder agreements. Dedicated to supporting the legal profession and the ongoing practice of law, Mark serves on many legal organizations. Throughout his career, he has been distinguished with many prestigious legal and civic awards and accolades, including South Florida Legal Guide Top Lawyer in South Florida, Florida Trend’s Legal Elite, South Florida Super Lawyers and South Florida Business Journal Heavy Hitters in Real Estate, and he has been widely published and quoted in national and local news media. Mark received his bachelor’s degree in 1983 and his law degree in 1988 from the University of Florida. He also spent a semester studying at the University of Paris. While attending UF, he served as the Senior Executive Editor of The University of Florida Law Review and taught legal research and writing as a fellowship instructor. As part of his commitment to giving back, Mark is actively involved in many charitable and nonprofit organizations, including, serving on the board of trustees at Ransom Everglades School. He also is a Young President at Mount Sinai Hospital, Founder at University of Miami, Guardian Angel at Holtz Children’s Hospital, and an active member of the American Israel Public Affairs Committee. 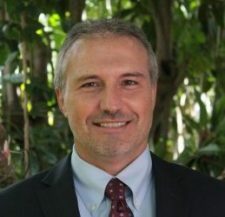 Mark also serves as a member of the Miami Beach Planning Board and as a Special Master for Miami-Dade County. In addition to his achievements in the legal and community spheres, Mark is known for his countless stage appearances around town as bass guitarist and vocalist for the rock band, “The Urge.” Mark moved to Miami Beach in 1971. He and his wife, Jill (Hartley) Meland graduated from Miami Beach Senior High School and continue residing in Miami Beach. Mark and Jill have three children, Ben, 23, Hallie, 21, and Libby, 17.